Singapore: LG has opened its Asia Business Innovation Centre in Singapore, which showcases its range of digital signage solutions to business clients. The Centre isn’t open to the public, but you might be able to see LG’s funky new signages around town soon. 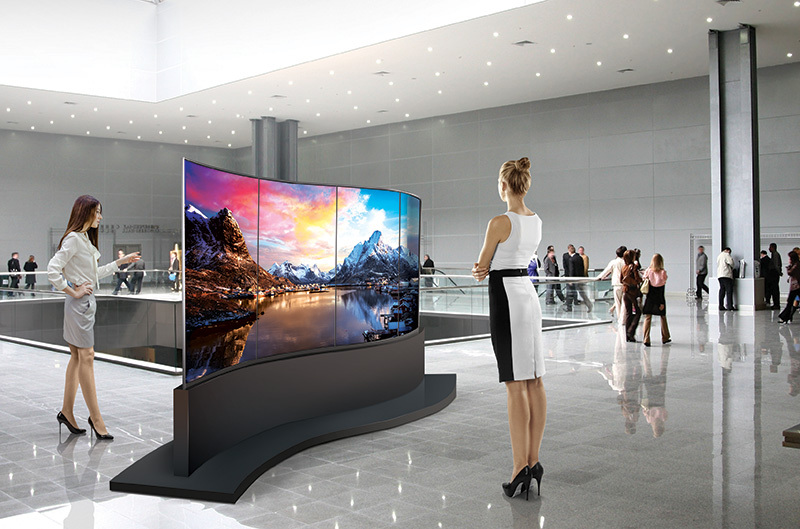 Business clients can now view LG’s vast array of cutting-edge solutions and experience their salient features in person. With digital displays permeating every sector, from hospitality to retail, transportation to government and more, the centre aims to help businesses understand how they can use innovative technologies to transform their information delivery strategies and supercharge their customer engagement. The following are some of the key solutions that will be showcased at the centre. 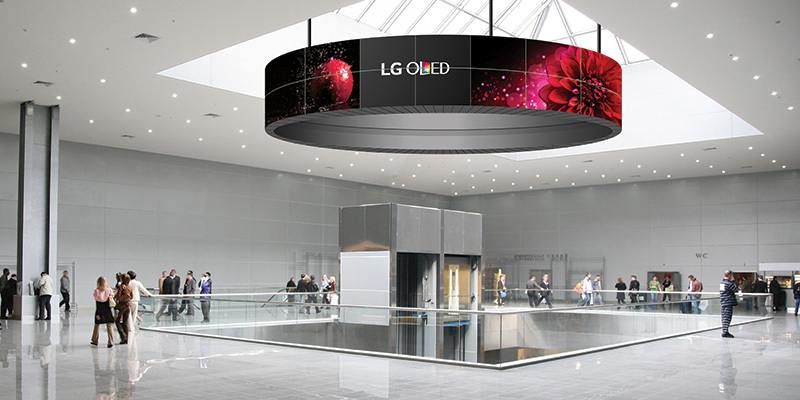 One of the most impressive signages we saw during a visit was a 65” curved dual-view OLED signage, which uses eight connected, double-sided flexible OLED panels for display (see above to get an idea of what it looks like). Each panel displays 4K resolution, which makes the entire piece a vibrant wave of colors and textures. This ability to curve displays opens up a host of interesting new installations; displays no longer have to be flat but can become almost sculptural in the way they take up space. Because OLED displays are thinner, lighter and more flexible, they can also be hung in places where bigger displays might not fit.